I know most people have lost the faith when it comes to the Pistons, but I'm not one of them. Tonight, the NBA Lottery took place and the Detroit Pistons will be picking 9th in next years draft. Check out some of their options. Don't get me wrong, the Pistons have fallen apart, but that's no reason to give up on them. It wasn't even ten years ago when they brought home a championship, and I think they'll be able to do it again within the next ten years. Brandon Knight is going to develop into a top ten point guard over the next few years, and Greg Monroe is a legit big man. 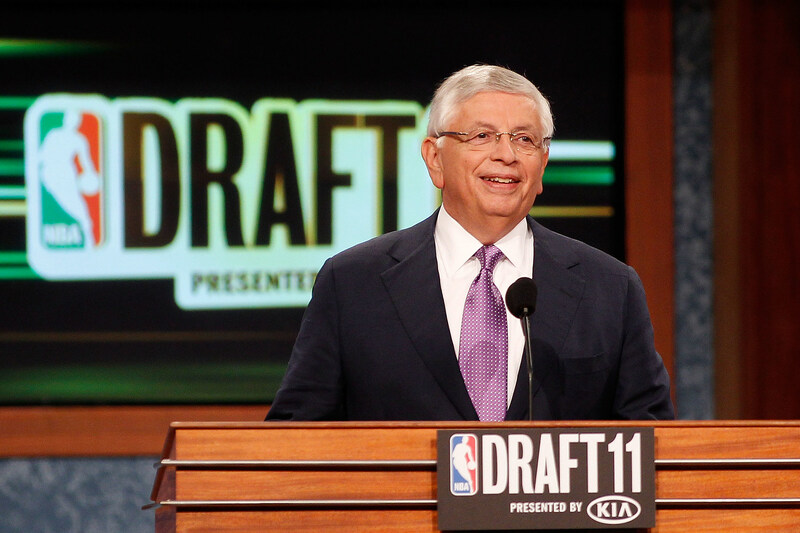 Now the Pistons will have to add to the team with the 9th pick of the 2012 draft. Players who might still be available at 9 include Baylor star Perry Jones III, Duke shooting guard and coach's son Austin Rivers, or if the Pistons are lucky, North Carolina small forward, Harrison Barnes. The good thing about the Pistons is that they pretty much need an upgrade in talent across the board and this is a really deep draft. I'm not saying that the Pistons are headed to the playoffs next year, but hopefully whoever they pick at the 9th spot, will be an immediate contributor to a team that needs all the help it can get.